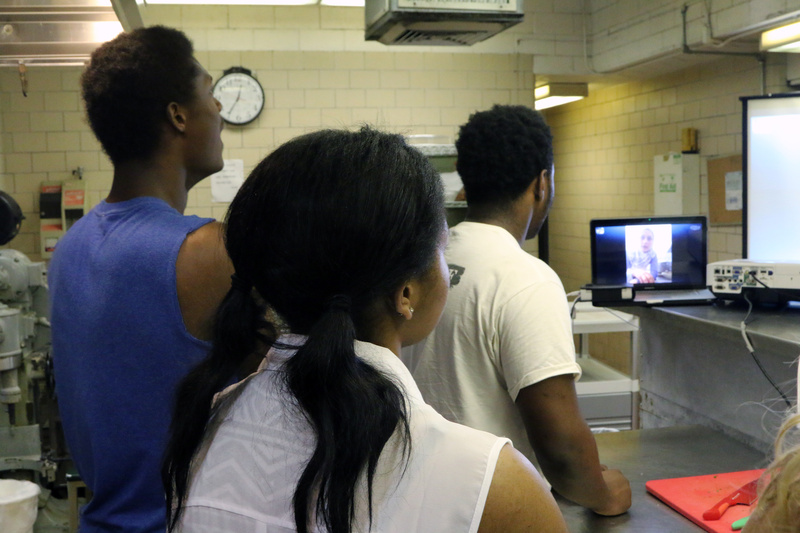 We ran the International Cooking Lesson workshop with Laila El Haddad and a select group of students from Westinghouse High School in partnership with the Homewood YMCA Lighthouse Program and East Liberty Presbyterian Church. 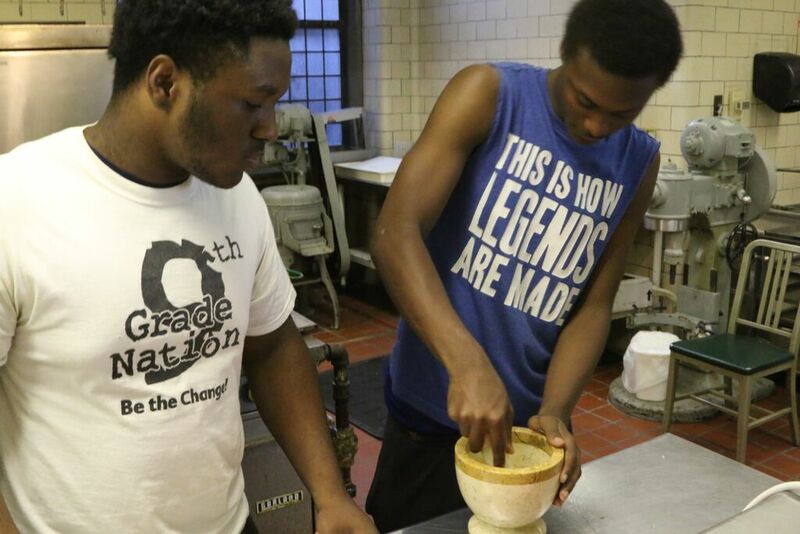 The Lighthouse Program, working with the Westinghouse High School students, developed a nine-week block which focused on the food culture of Palestine. The students grew herbs for cooking Palestinian dishes and learned the basics of Palestinian history and cuisine. 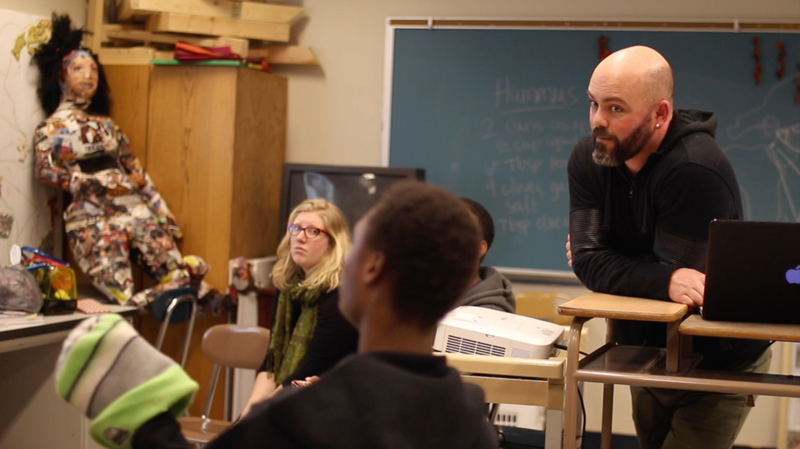 The block kickstarted when we visited the school in order to present the mission and history of Conflict Kitchen. 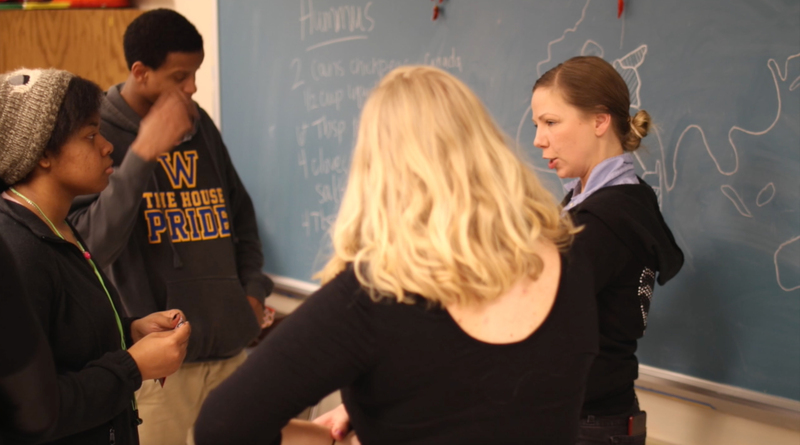 We were fortunate to have Co-Director Dawn Weleski in town, and she led a discussion with the students on the history and geography of Palestine. 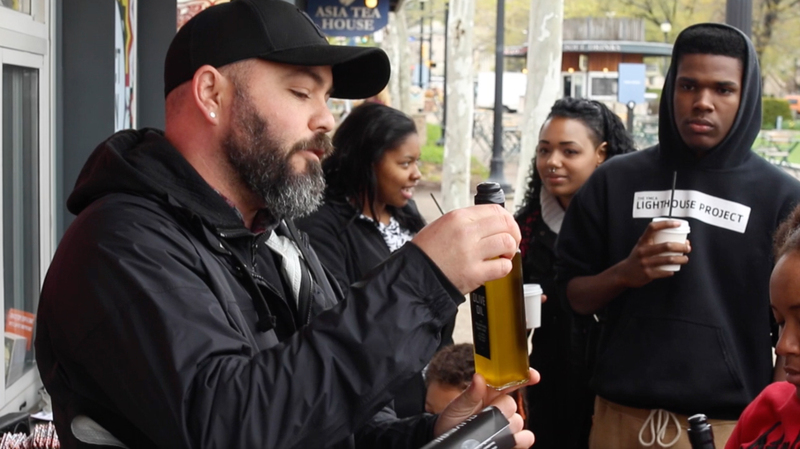 During a field trip to Conflict Kitchen, the students were able to order from the our take-out window, interact with the staff, sample the food, and discuss the interviews from our Palestinian wrapper over lunch. Finally, we held a cooking lesson workshop with the students, hosted by Laila. Using the kitchen at East Liberty Presbyterian Church, we set up cooking stations, procured ingredients (pre-arranged with Laila), and had a Skype cooking workshop. During the two hour lesson, the students prepared a red lentil and chard dish. 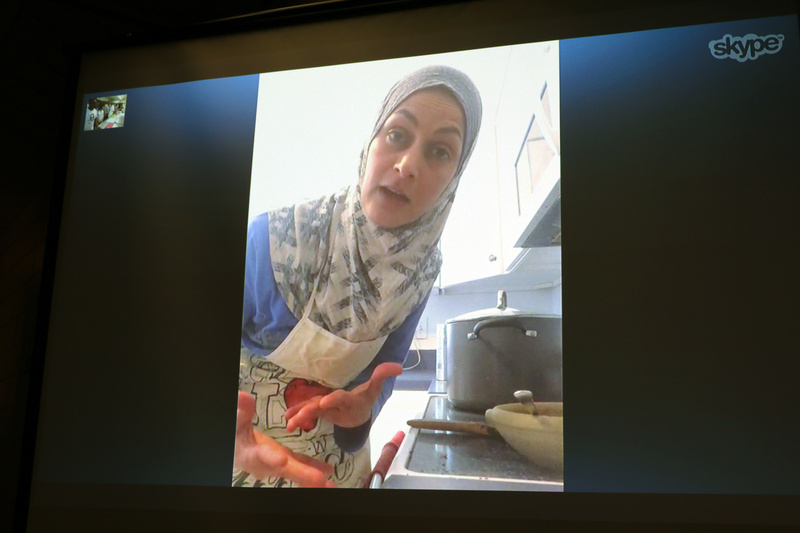 Laila peppered the discussion with knowledge and family anecdotes about Palestine, all while guiding the students through the preparation of the dish. “Our partnership with Conflict Kitchen was invaluable. We were able to introduce students to another culture that they were really unfamiliar with. We educated our teens about Palestine through a field trip to Conflict Kitchen, cooking Palestinian recipes in our classroom, doing an international Skype cooking lesson with Laila El-Haddad, watching a Palestinian hip hop documentary, and engaging in a presentation with the Conflict Kitchen staff reflecting on their trip to Palestine. We would not have been able to provide as many awesome opportunities to our youth if we didn’t have the expertise of Blaine and the Conflict Kitchen team helping to educate and make international connections.